The North Yorkshire Fire Service provides a lot of information about how to keep safe and reduce the risk of fire in your home. It also conducts free home safety checks on request. These checks identify any fire risks and the need for fire alarms – the type of alarm which may be required and where to site it. 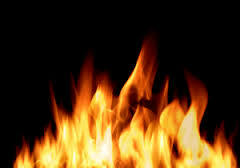 The fire service also advises on fire alarms for those who have sensory impairment and produces videos and large-text information leaflets etc. There is also and individualised risk assessment service for the elderly and vulnerable. Further information about fire safety or booking a safety check is available online or you can contact the Fire Advice Safety Line 01609 788545. Each year there are about 400 people admitted to hospital with Carbon Monoxide (CO) poisoning in England. CO poisoning results in 40 – 50 deaths a year. Following Hurricane Sandy in October 2013, 263 people were admitted to hospitals in eight states in America, following carbon monoxide exposure. This was mainly due to people trying to improvise when there was no power supply to their homes. It is important that you are aware of the symptoms of CO poisoning, its treatment and what you can do to prevent it. Preventing carbon monoxide poisoning is essential. Installing an alarm in each appropriate room is the first step, as well as regular checks to ensure that it is working. The ‘Companies and national organisations‘ page has some suggested suppliers. 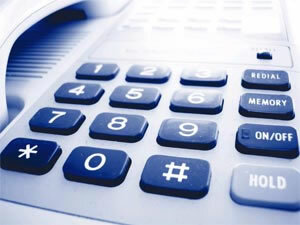 There is a lot publicity in the media about nuisance calls and ‘cold calling’. To protect yourself against receiving any of these calls made from the UK, you can contact Ofcom (the communications independent regulator), the Telephone Preference Service (TPS) or your service provider. Your service provider may also be able to advise you about preventing unsolicited texts and broadband problems. There is no charge for this service. Alert! 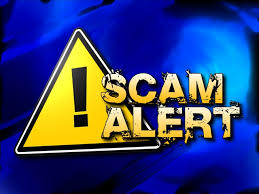 Please be aware that there are reports of a scam involving companies cold calling people and offering to register them with the TPS and demanding a charge. Do not accept this offer or divulge any of your personal details. Cold callers coming to your door can be hard to deal with. These people are often trained to be persistent and persuasive. They should not be invited into your home. If you have one, put the chain on the door before you open it. Any employee from a service provider (e.g. a meter-reader, engineer etc) will have an identification card with a photograph, which should be shown to you. Otherwise ask to see it. If you were not expecting them to call, ask them to wait while you telephone the company to check. Service providers frequently send out advice (usually with your bill) about checking the identity of their employees and a telephone number you can call to check. This video provides an insight into how distraction burglars work and also identifies how you can protest yourself. Click Protect yourself from doorstep crime for advice. ‘If it looks/sounds too good to be true, it probably is’. For the latest information about current scams, please go to the ‘Scams‘ page. 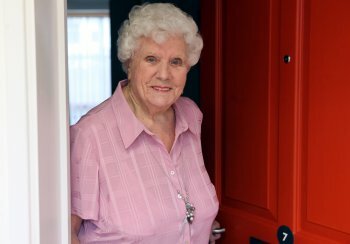 Safety in the community is a concern for most people, but for older people may be particularly worrying if they live on their own or have mobility problems. The local Council’s policy to switch off the street lighting at midnight has also increased some people’s concerns about safety. If there is a strange sound or noise outside you home, it may be too dark for you to identify the cause. The Neighbourhood watch scheme provides a lot of information and advice about how to increase your security at home and enhance your safety when you’re out and about. You can find out about your local group using the neighbourhood watch search facility. 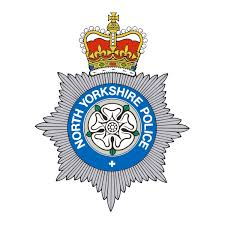 North Yorkshire Police also provide a lot of information and advice about protecting yourself and your property. 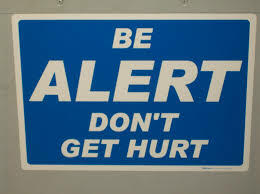 Their crime prevention officers can also advise you about your individual risks. Call 101 for advice. North Yorkshire Police have also launched ‘BurglarProof’ to help keep people safe in their own homes. Approximately 25% of burglaries are opportunistic crimes, when a thief takes advantage of an open window and or unlocked door. Thieves target vulnerable properties i.e. those without security devices such as window locks and sturdy door locks. In order to reduce crime and protect vulnerable individuals, NY Police is launching an on-line application to highlight ways in which people can protect themselves. Click here for further information. 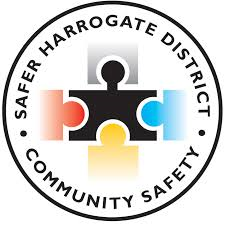 Harrogate District Community Safety Partnership has produces some short films about keeping safe and reducing the risk of crime. To view the films, please follow this link. As discussed on the ‘Health’ page, sight tests are important to optimise your sight. However, it is also important to check that your spectacles fit properly and that you wear them when necessary. Spectacles which slip down the nose or which haven’t been cleaned since the last visit to the optician can be a real hazard. 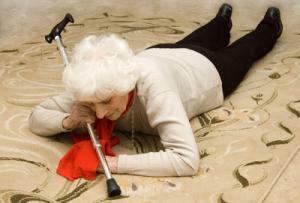 Poor vision is a common cause of falls. Lighting is a major factor affecting vision. 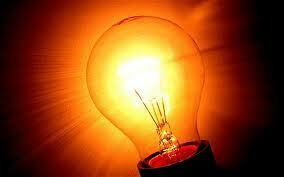 Nowadays, the use of long-life low energy light bulbs is encouraged. Many people feel that these bulbs are not as bright as the old bulbs. In some cases this is true, although bulbs of a similar brightness are available if you shop around. Another complaint is that the low energy bulbs ‘take ages to achieve their full brightness’. This could be hazardous if walking on the stairs, for example. There is certainly a delay with some bulbs, but others achieve full brightness almost instantly. It probably won’t tell you on the packaging, so you will need to look for reviews, ask in store or check on the internet. The Consumer Association Which? does frequent reviews and BLTdirect is the type of on-line store which you might find useful. It is important to check which is the correct type of bulb for the intended use. Also remember, if you are using halogen reading lamps, these should not be too near to the skin and the bulbs should not be directly touched with your fingers. Loss of balance, which can occur at any time, may be due to a variety of causes, including: low blood pressure, irregular heart beat, Meniere’s disease, middle ear infections, sudden movement such as rushing to get to the telephone or answer the door bell. 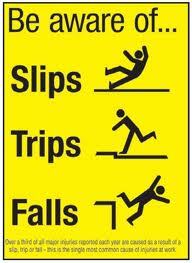 Another common cause of falls and loss of balance can be due to medication. Recent articles in the medical literature suggest some of the medications which may cause this. Difficulties in mobilising also contribute to falls, partly because the physically reaction to a slip or stumble may be delayed. Muscle weakness may also cause a person to stumble and there may not be adequate strength to grab on to something to prevent a fall. There is a wide variety of mobility aids and these are highlighted on the ‘Aids to daily living’ page.